Before we learn to love books, we hit them. At least, younger infants do. This may be a sign, however, that the child is beginning to connect with print materials. As younger infants move toward realms where literacy begins to emerge, they increasingly show interest in verbal communication and printed words and images. Below are some indicators or progress and quick tips we can use to support further progress. 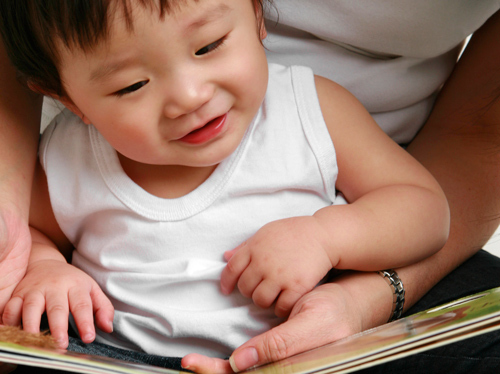 increase their interest in familiar words and rhymes. What other fun things can be done to help support the journey toward emerging literacy skills?